Residhome Metz Lorraine is centrally located in Metz, walking distance from Centre Pompidou-Metz and close to Place de la Republique. This residence is within close proximity of Metz Palais de Justice and Stade Municipal Saint-Symphorien. Make yourself at home in one of the 130 guestrooms, featuring kitchenettes with refrigerators and microwaves. Rooms have private balconies. Complimentary wireless Internet access keeps you connected, and digital programming is available for your entertainment. Conveniences include phones, as well as desks and electric kettles. Featured amenities include express check-in, multilingual staff, and luggage storage. Self parking (subject to charges) is available onsite. 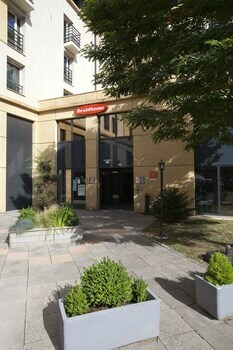 Residhome Metz Lorraine is an ideal Metz lodging choice for your trip to France. With numerous amenities for guests such as fitness center, parking - self, you will wake up at Residhome Metz Lorraine feeling ready to go every day for your time in Metz. 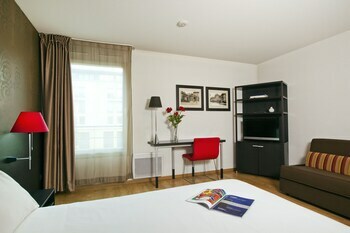 Don’t let this amazing reservation opportunity pass you by, book your stay at Residhome Metz Lorraine today to make the most of your time in Metz, France.